The speargun history seems to be repeating itself. Initially, the earliest spear guns were made from wood with rubber bands. However, later on, the pursuit of better guns yielded several new technologies such as spring, hydro pneumatic, CO2, pneumatics and even gun powder. 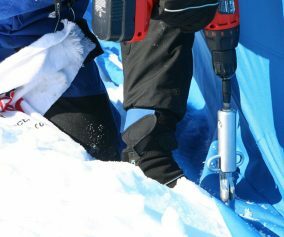 Over the years, the hunt for world-class spear gun technology has turned out to be more than fun. Nowadays, a good number of the serious undersea hunters have gone back to the wooden, band-powered gun.That being said, there still exists a plethora of options that are available to the undersea hunter of today. This primer seeks to assist you land the best spearfishing gun. Pneumatic spearfishing guns were highly popular in the 1960s and 1970s. However, today, they remain popular only some parts of the world. In addition to being highly powerful weapons, they present minimal recoil. What is more is the fact that they make extremely long shots very much possible with a particular degree of accuracy. You can increase the power of this gun based on the air amount you pump into it. Of great importance to note is that the power of the gun is limited to the hunter’s strength. Band powered spearfishing guns are highly popular across the world. In addition to being powerful, they’re also accurate. Virtually, they’re silent whenever they’re fired. Furthermore, aiming with this kind of gun is very easy. This is especially true with the open muzzles where a diver is able to see the shaft’s complete path. Unlike the Pneumatic spearfishing guns, you can increase the power of this gun by just adding more bands. As a diver, you can load one band at a time. Ultimately, you’ll be able to achieve an incredible combined power. Another impressive attribute about band powered spearfishing guns is the fact that they need very little maintenance. 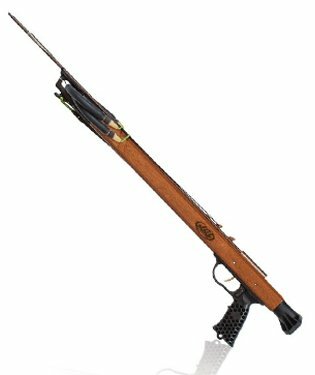 The AB Biller Wood Mahogany Spearfishing Gun is preferred by a good number of experienced spearing champions and spearos. So why would one choose wood? For starters, wood is more than beautiful. In settling for wood, 3 types exist – Teak, Padauk and Mahogany. The AB Biller mahogany spearfishing guns boast 3 polyurethane coats that offer a stunning shine to the mahogany wood. This wood gun is neutrally buoyant, quiet and accurate. This combination is awesome for effortless handling underwater.Are you experiencing limited visibility when fishing? 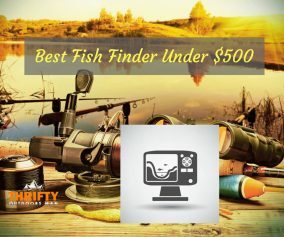 Are you hunting for fish hiding in wrecks or rocks? 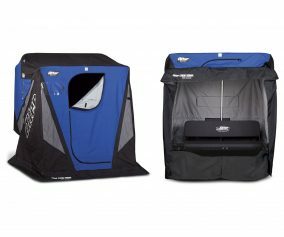 Are you fishing for fast swimmers, smaller fish or big fish? You can alter AB Biller guns to make an ideal gun. The JBL Freediving/Spearfishing Metal Gun certainly delivers more bang for the buck compared to anything else in its class. 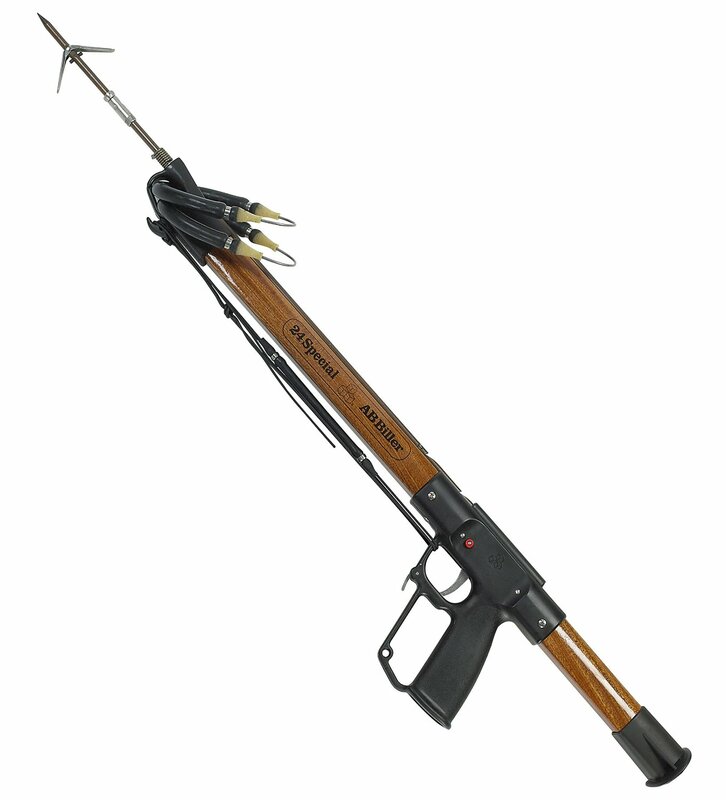 Similar to other products in its series, this spearfishing gun is constructed of aerospace grade aluminium. 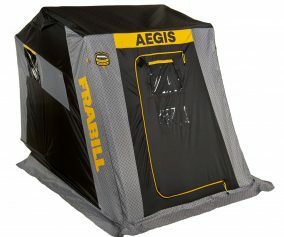 Upon purchase, you get standard accessories, manual, original packaging and a warranty. 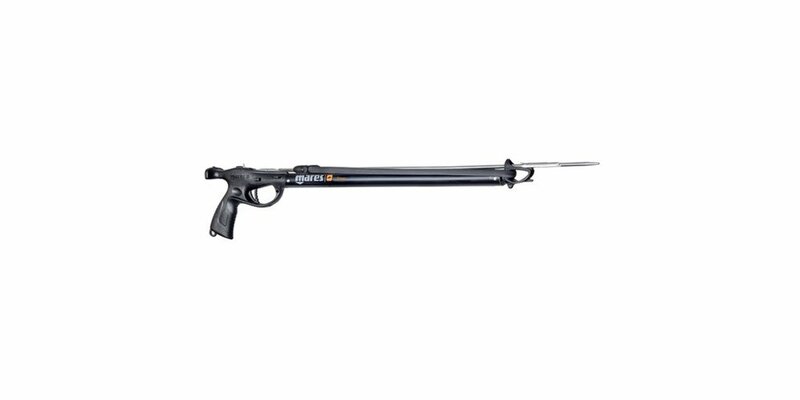 The Cressi Geronimo Elite Spearfishing Gun brings with it a professional line release as well as a safety catch. You can place the line release on the left or right thus making it ideal for left-handed users too. The gun also features a variable section barrel that’s made from heat-heated, hydro formed and corrosion free material with an incorporated spear-rail saddle. It’s an excellent combination of firmness, balance and hydrodynamics that outclass even the carbon models. It has a 6.25mm shaft that’s heat treated and helps in terms of firing precision. 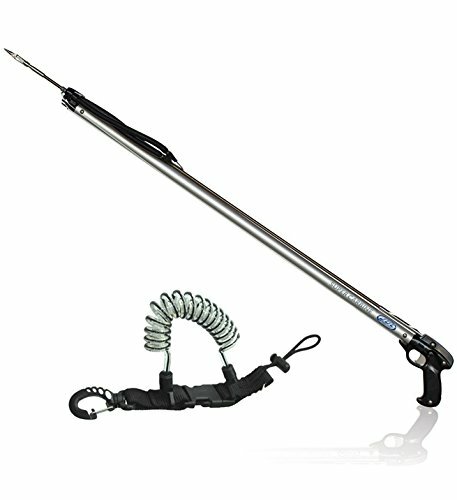 The spearfishing gun brings with it a muzzle with 3 possibilities for use. With this gun, it is possible to add some circular bands in order to raise power. Alternatively, you can use circular bands on a spear gun. The gun is created specifically for those into nuzzles that are designed for circular rubber use in mind. Its brand new nuzzle is highly hydrodynamic as well as compact. The Mares Sling Sniper Spearfishing gun is a brand new sling gun that’s dedicated to spearfishermen that seek reliability, functionality and simplicity. It brings with it a meticulous design. The quality of materials that’s used to make this spearfishing gun is unbeatable. In fact, the price to quality ration is beyond impressive. It has a totally rebranded ergonomic handle that mimics the shape utilized on Viper Pro as well as Cyrano Evo HF that’s set up for vertical spiro reel. The lever together with line release on its trigger mechanism are stainless steel. It has a compact and tapered muzzle with an in-built shaft guide together with bridge. The combination is appropriate for use with some circular slings. You also get an anodized aluminium cylindrical outer barrel. 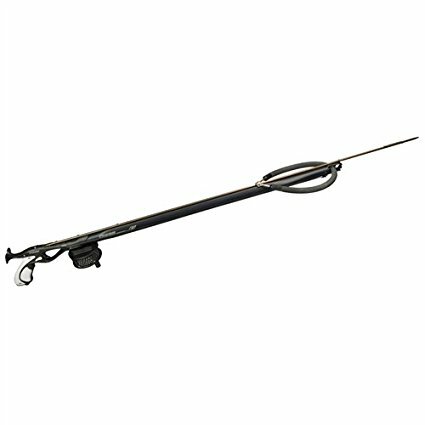 The JBL Woody Elite Spearfishing gun features a heat-treated stainless steel shaft with a Tahitian style flopper together with an integrated 6mm thread. Are you looking for a spearfishing gun that is accurate, fast, affordable and quiet? If yes, then look no further than this gun. You have the opportunity to put your two hands on an Elite series type of gun. The woody elites series bring with them the revolutionary M-8 as well a 3-piece trigger mechanism. It has a compound leverage design together with a quarter inch stainless steel component that makes it one of the strongest mechanisms across the world. What is more is the fact that you enjoy a smooth and easy trigger pull. Well, the handle is beyond amazing. The hex pattern and ergonomic design increases accuracy and grip control. Have you been in the market for the best spearfishing gun? Well, your search has now come to an end. The above are the 5 best spearfishing guns dominating the market today.